Speed through event registration and save $5 by registering and paying online for all Dixie Region sanctioned events at MotorsportsReg through the online link in the schedule below. If you are new to Solo then visit "Your First Event" page, or visit the Dixie Facebook page. For Event Results, please visit the Results Page. Tire Rack Street Survival - Adel, GA: February 24 - REGISTRATION FULL! 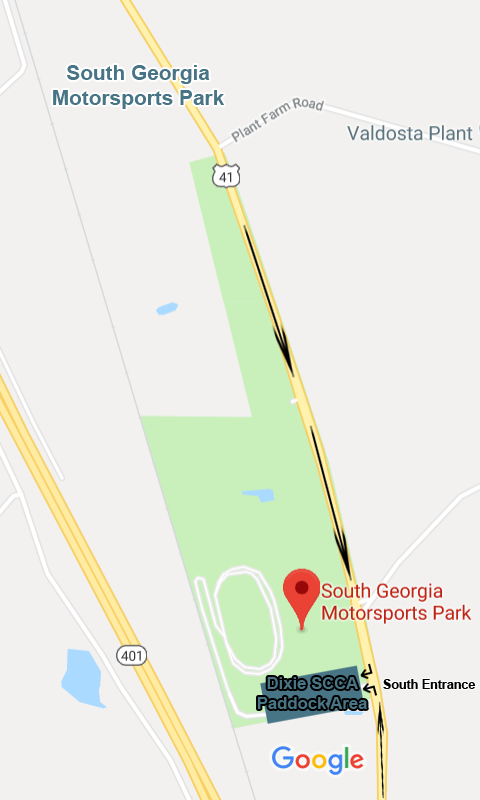 SOUTH GEORGIA MOTORSPORTS PARK (SGMP): Events held at South Georgia Motorsports Park in Cecil, GA, are located approximately 12 miles north of Valdosta just off Interstate I-75 exit 32. Directions to South Georgia Motorsports Park. SPENCE FIELD: Events located at Spence Field in Moultie, Georgia are held near 200 N. Vandenberg Drive, Moultie, Georgia. Drive past the water tower to the end of N. Vandenberg Drive, then turn right on the large concrete staging area. 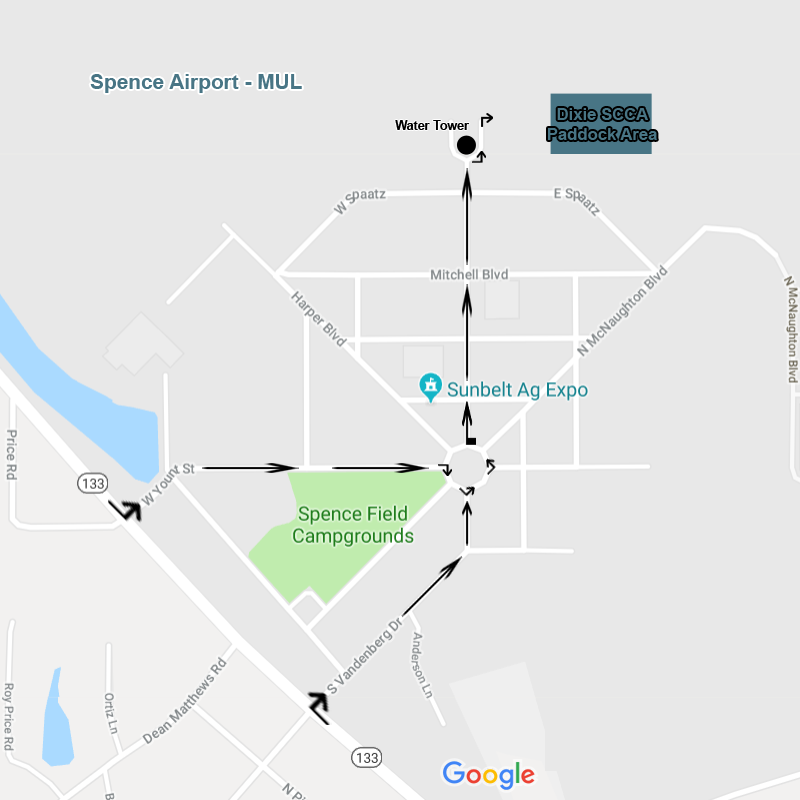 Online directions to the Spence Field. 8:30am: Registration and Tech Open. Course is open for walking. 9:30am: Registration and Tech Close. Novice walk through the course. 9:50am: Drivers Meeting. Drivers and classes assigned to run groups. 10:10am: First car on course in first run group. Second run group works the course chasing cones. When the first run group finishes then the second run group runs and the first run group works the course. 4:00pm: Last run group finishes. Course cleanup begins. 4:45pm: Head home and tell your friends what a great time you had. *Fees applicable to all events except special events such as the Dixie Championship Tour, Southeast Division Solo, Test-n-Tunes and Allies vs. Axis. See event registration pages for details.